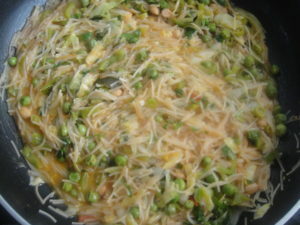 Vegetable Vermicelli is a breakfast and snack recipe. Vermicelli is a type of pasta which is thinner than spaghetti. In case of vermicelli, you do not boil it first like other varieties of pasta. 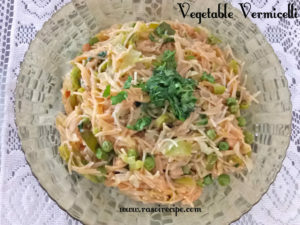 For this recipe, you just need to oil or ghee roast vermicelli, after that it is boiled along with other vegetables of your choice. 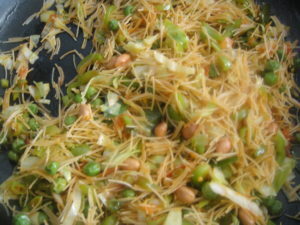 In hindi, you can call it seviyan pulao or pulao/pilaf style pasta side dish. You can pack this dish in lunchbox of kids also. 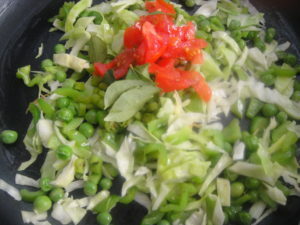 In my recipe, I have used vegetables of my choice, you can try it with your vegetables. 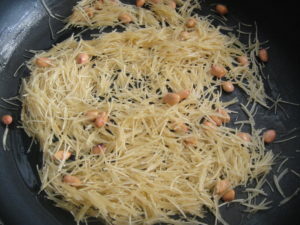 In a pan heat oil, add peanuts and vermicelli. Roast it till vermicelli turns golden brown. Keep vermicelli and peanuts aside. 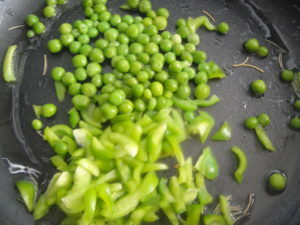 Heat more oil in the pan, if required, add green peas and capsicum. Stir fry for 3-4 minutes. 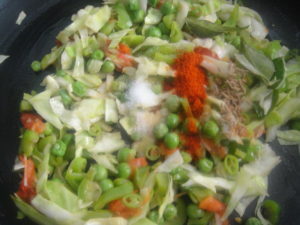 Add cabbage, green chillies, curry leaves and tomato, fry for 3-4 minutes more. Next add all the masala, saute for 2-3 minutes. 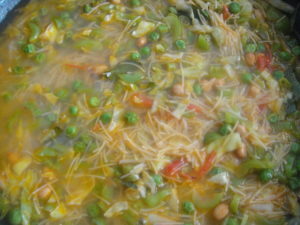 In the pan now add vermicelli and peanuts. Add double amount of water in the pan, cover and cook till water is completely absorbed. Looks so yummy. Liked it. I wanna eat it right away. I cook it the normal style and the addition of peanuts and capsicums blew my mind away <3 will try it like this next time. It looks delish! I don’t think I’ve ever cooked vermicelli before! I love Vermicelli. They are easy to make and super yummy. 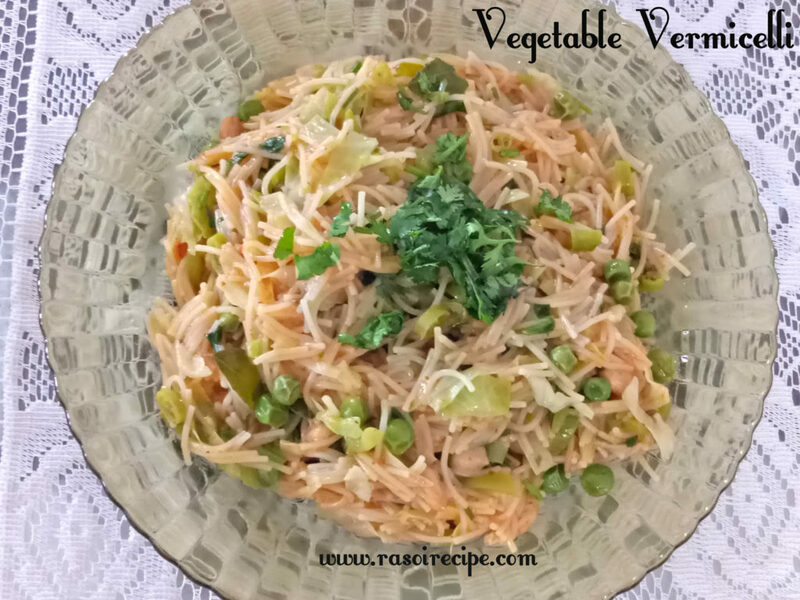 You get ragi vermicelli as well – do try this vegetable recipe with it.